01. Our goal is to have a great time together. Yes, it's all surrounded by getting a couple of amazing photos but if you're enjoying yourself it will show up on camera. My goals is to get you to relax, have fun and be yourself in photos. I'll be giving you direction and curation and all you need to focus on is enjoying the moment and I'll be there to help with the rest. 02. Don't be anyone else but yourself. I want to capture who you are as a couple. The way you interact, the way you laugh so you'll be able to cherish these photos for years to come. I want you to be able to share all of those intricacies with me. I will give you guidance but my goal is to get you to have authentic interactions and movements during the session. 03. Trust me, it's going to be easier than you think. As a professional, I'll be there every step of the way. It's normal to feel a bit out of place in front of the camera for the first couple minutes but after that the time will fly by and you'll be a natural. Plan your outfits in advance. Your outfits should NOT be 100% matchy-matchy, but they should have a cohesive feel. That means that if one of you is dressed formal, then other other should be formal as well. I'd also suggest a color palette that is complementary to each other (think blue and grey, not red and green). Try the outfits on. Make sure they look good together. Make sure things fit. If you look in the mirror and say to yourself, "Dang, I look good," then that's the outfit you should go with. Your confidence will show up in camera. Keep it classy. When it comes to picking clothing, I would recommend something that is a little more formal. Think, dresses or slacks and button-ups. Also keep in mind, these photos will last a long time. I'd avoid anything that is overly trendy or overly loud. No graphic tees and no flip flops. Dress for the season! If you are doing your shoot in spring or summer, make sure you aren't too hot in your outfit. For winter sessions, be sure to dress warm! Nice coats, boots and scarfs can all be included to accessories your outfits. Allow plenty of time to get ready. Life happens. Don't let a rush time get you flustered. Make sure you allow plenty of time for travel if you are coming into New York City. Travel light to your session. 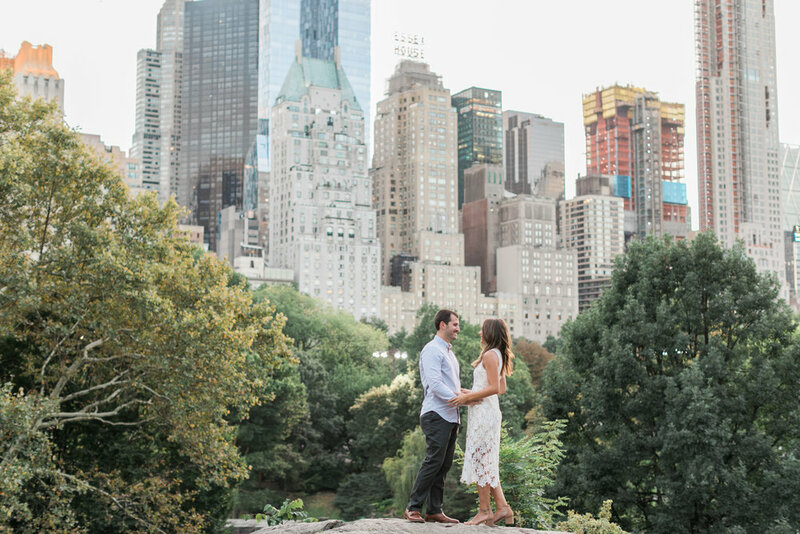 Try to bring as little as possible to your engagement session. Guys, slim down your wallet. Ladies, try to bring a lipstick and a small clutch. I'm a strong girl, but I will already be carrying about 15 pounds of camera gear and have my hands full. If you go into your closet and think ... I have nothing to wear, I've got just the option for you! Rent the Runway is an AMAZING service where you can rent an a wide range of outfits. I've used this several times and love the fact that they ship to your door (two sizes just to be safe) on the day of your choosing. Take a look at list of of amazing dresses for an engagement session that I put together HERE. I also have a $30 off code you can use HERE. Photography tends to minimize the appearance makeup, so I'd suggest doing a little bit more than your everyday. Things with color, like blush, lipstick and eyeshadow show up a little bit lighter so add a touch extra. This brings me to my next point. If hair and makeup isn't your thing, then consider hiring a makeup artist or making a salon appointment. The way you feel will show up in photos. If you're feeling confident and beautiful, you'll look it! Here's another idea. For your wedding, most makeup and hair artists offer a trial session. This is the PERFECT time for a trial! Allowing you to test out a look and see how it photographs. Clean your ring to make sure it has that extra sparkle and don't forget about your nails! Details like jewelry and nail polish go a long way. We will be walking ... and walking ... and walking. It's my goal to find dynamic backdrops, good lighting and incorporate natural movement. Make sure you can walk around comfortably in the shoes you're wearing. Make sure to iron your shirt and get the lint off your slacks. Wrinkles and lint don't make for a good look. Don't forget the cologne. Your girl's smiles will be a lot brighter if you smell nice while you're snuggling. Chances are you'll be ready in 7 minutes, so if that's the case try to make the day as peaceful as possible for your fiancée. 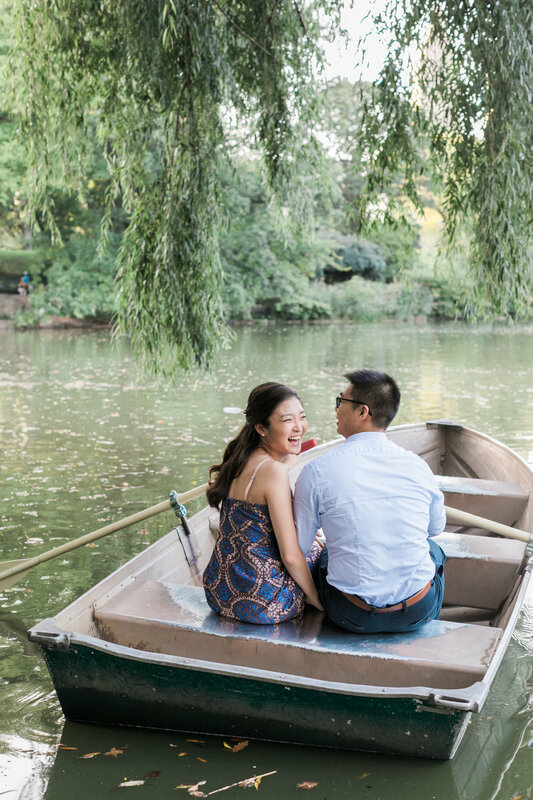 Think about even booking a date night after your engagement session. After all, you'll already be dressed up. This is an amazing time in your life, but it'll go by so fast. Take time to stop and celebrate! I'm so excited to be taking your engagement photos. The photos that will hang on up on your walls. The photos that you'll cherish together. Thanks for taking the time to read these. Just hit submit below so I know we're all set. We've read the tips and we're ready for our Engagement Session!